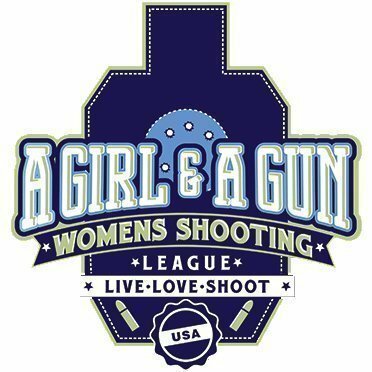 LINCOLN, TX – Following up on a whirlwind 7 days of training at the A Girl and A Gun Women’s Shooting League National Conference, I spent April 27-29 at KR Training for the 3-Day Rangemaster Instructor Development & Certification Course. This was an intimidating class for me, but I put it on my 2018 goal list and made it happen, thanks to Karl Rehn of KR Training. In this sold-out class, Tom Givens taught a class of 18 students the finer points of adult learning theory, deadly force law, and how to identify, correct and communicate solutions for shooting skills issues among our students. While most of the material wasn’t new to me, Tom’s expertise and years of experience informed the way he relayed that information and his expectations of us as instructors. In addition, he emphasized the importance of qualification tests to verify that learning has occurred in a firearms class. After three days, 15 of us successfully earned Rangemaster Instructor Certification, based on objective qualification courses of fire and a comprehensive written exam. Moving forward, I’ll first identify the qualification or test that I’ll employ to verify that the course objective has been met, and then begin building curriculum to meet it. In effect, I’ll be teaching to the test. But, it will be a test that lends itself to the development of skills applicable in the context of real-world defensive scenarios that are most probable given the current body of statistical information. In other words, I’ll be training my students for real life. Sounds familiar. This course was a pivot point for me as a self-defense industry professional. My firearms focus has always been self-defense, and I’ve been blessed with level-headed mentors (Kathy Jackson, The Cornered Cat, and Karl Rehn of KR Training) who’ve taught me that people need practical training that applies to their everyday lives and the protection of the same. For my students, what will change is that I’m going to make sure they’ve internalized the lessons and met the goals we’ve set together. For my own instruction, I’m going to seek out classes that require that same verification. I owe my students and myself the opportunity to demonstrate either mastery of a skill or the need for remediation. Without putting skills to the test, how can we be sure that learning has occurred? Our lives are worth protecting, and our skills give us the means to do it effectively, without endangering anyone else in the process. That’s our minimum standard as gun owners, because as Kathy Jackson likes to say, “A gun is not a rabbit’s foot that keeps the bad guys away.” Indeed. It’s a tool. It’s our JOB to make sure we have the mindset, training and skills necessary to use that tool safely under extreme stress. Let’s get to training.